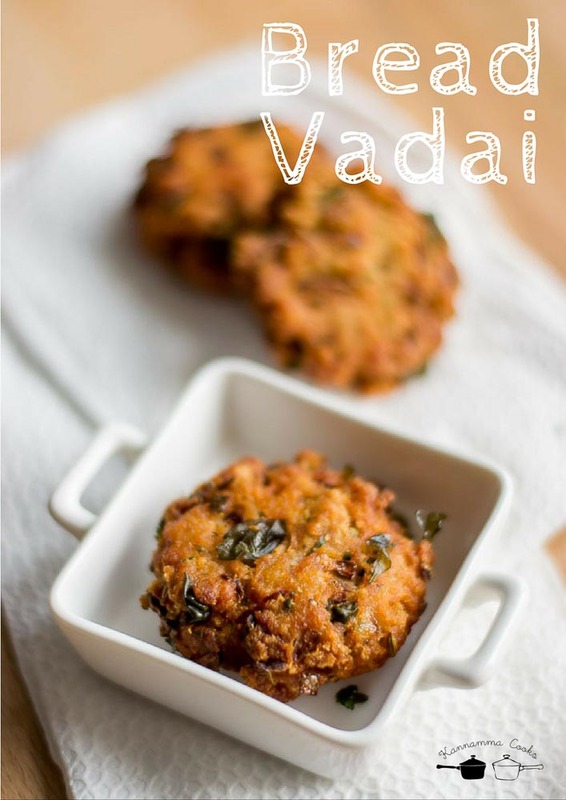 Recipe for instant vadai made with bread. 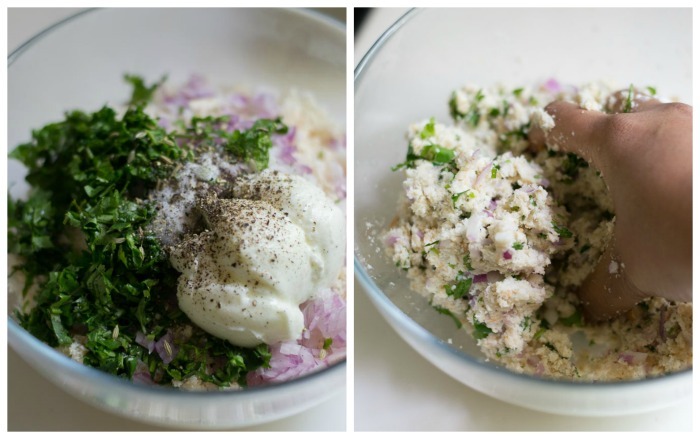 A quick and easy recipe that can be put together in minutes. With step by step pictures. 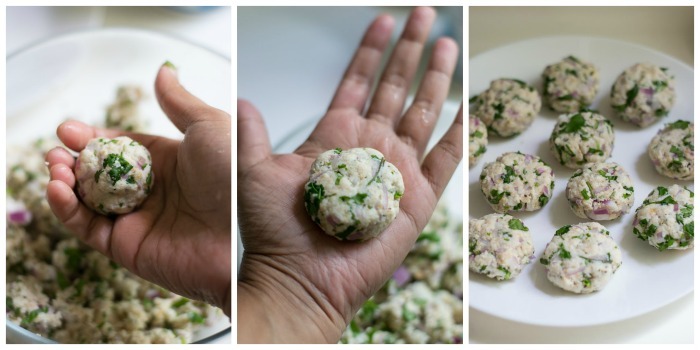 Here is an easy and quick evening snack that you can put together in no time. 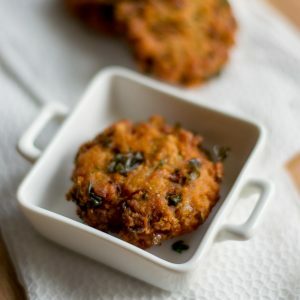 This vadai tastes so crunchy and one wont believe that it was made with bread. Here is how to do it. 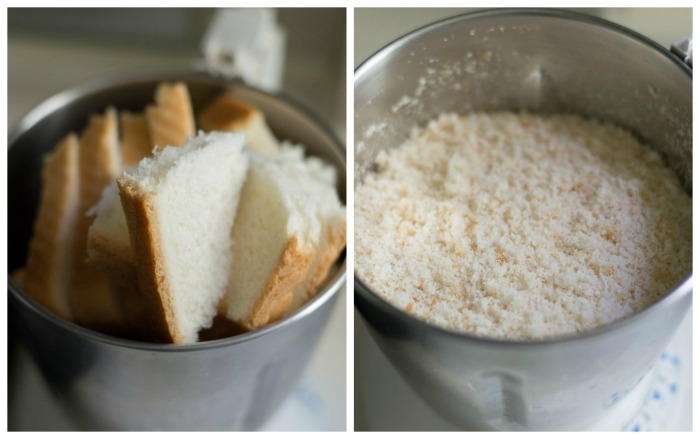 Run the slices of bread in a mixie / food processor to coarse crumbs. Set aside. Take a big bowl and add in the bread crumbs to the bowl. Add in the finely chopped onions, curry leaves, coriander leaves, ginger and green chillies. Add in the salt, asafoetida, pepper, fennel seeds and plain curd (yogurt). Mix well. Don’t add in a lot of curd. The mixture needs to be barely wet. Do not add a lot of salt. Remember that the bread is already salted. Take a couple of tablespoon of the mixture on your palm. 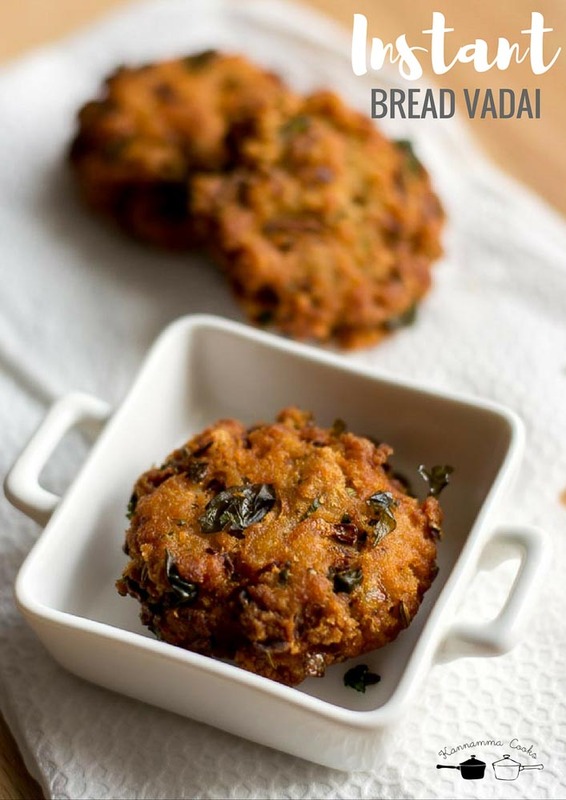 Make small vadai balls from the mixture and slightly press on top to flatten the vadai. Set aside on a plate. Repeat until all the mixture has been shaped. Heat oil in a kadai / pan until hot. 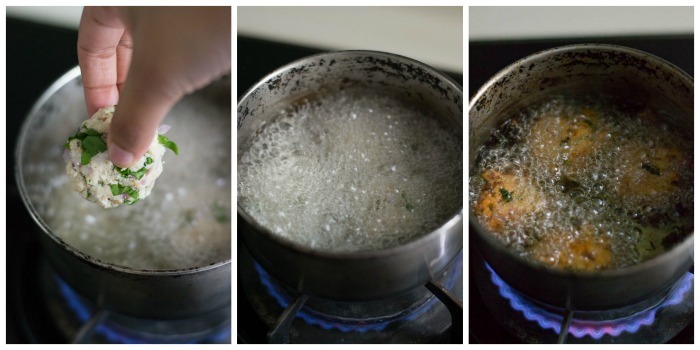 Drop the vadai gently and fry on both sides till golden. Serve hot with coconut chutney. Ketchup also works well. Take a big bowl and add in the bread crumbs to the bowl. Add in the finely chopped onions, curry leaves, coriander leaves, ginger and green chillies. Add in the salt, asafoetida, pepper, fennel seeds and plain curd (yogurt). Mix well. Any substitute for curd Suguna?Excellent easy & simple recipe ,thumbs up dear.